“the Company” means Pirat Machines s.r.o. The Contract is first valid, after the Buyer receive the order confirmation, send by mail by the Company. 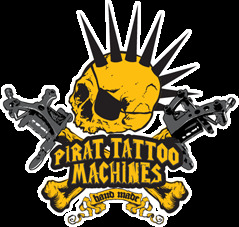 Orders can be effected through the Company web page www.pirat-machines.com and the basket in it, or by email pirat.machines@gmail.com or via telefon number 00420-736 262 323. An order can be send after fulfilling regitration on the web page, pointing out: Name, surname, contact telefon, email, code and description of the article, quantity, the single article price and destination address. The prices on the Company catalog and on the Company web page are in Czech Crowns or EUR and WITHOUT TAX. The tax rate of 21% will be included at the end in the basket. Commercial clients with an european intra-community sales tax identification number can add this on the registration. The articles/products travel to risk of the client. Optionally the Company offers a transportation insurance. Every effort will be made to meet forecast delivery dates, but we cannot however, accept liability for any loss arising from failure to meet them. Subject to the other provisions of these Terms, the Company shall not be liable for any loss, whether direct or consequential, economic or loss of profits or otherwise, arising directly or indirectly out of any delay in the delivery of the Goods nor will any delay entitle the Buyer to terminate or rescind the Contract unless the delay exceeds 30 days. Products delivered (pursuant to orders) are not returnable to us except by prior agreement. Returned goods which are not faulty or have not been sent by our error will be credited at 100% of original invoice value if returned to us in re-saleable condition and within 2 weeks of the original delivery. Any requests for credit or replacements for shortages or damages in transit must be notified to us within 3 days of receipt of goods. The price for the Goods shall, unless otherwise agreed, be the price set out on the date of delivery in the Company’s price list. The price for the Goods shall be exclusive of all costs of carriage and insurance and applicable VAT which the Buyer shall pay in addition. For all european areas including export carriage will be charged at cost. We reserve the right to amend prices to those ruling at the date of dispatch. Payment shall not be done until the receipt of the order confirmation by the Company. Payments are always in advance. Types of payment offered are Bank transfer and PayPall. Other payment types are nor accepted, or must be agreed with the Company first. name of recipient: Pirat Machines, s.r.o. 8. Warranties The Company warrants that the Goods are of satisfactory quality. If any part of these Terms is found to be void or unenforceable by any Court of competent jurisdiction, such part shall be severed from these Terms which will otherwise remain in full force and effect. These Terms shall be governed by and interpreted according to Italian Law and the parties submit to the exclusive jurisdiction of the Italian Courts.